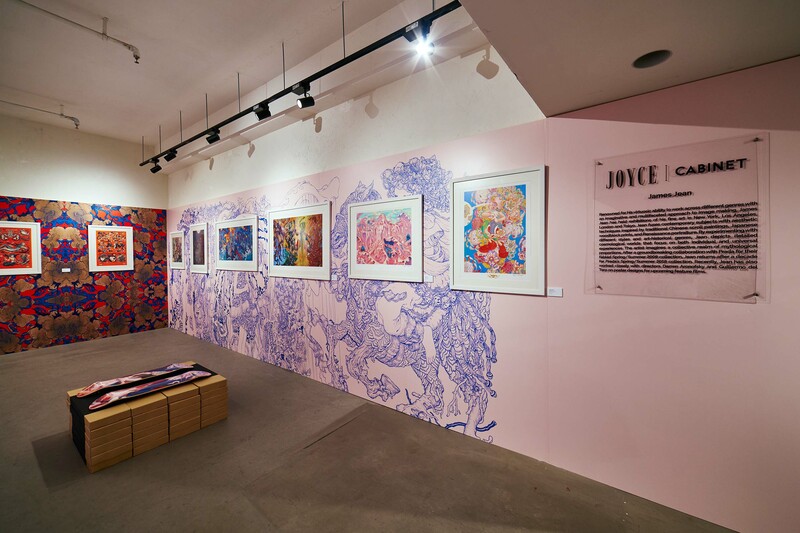 In continuation of the JOYCE FW’17 campaign partnership with James Jean, JOYCE Cabinet hosts an exhibition of the artist’s work. 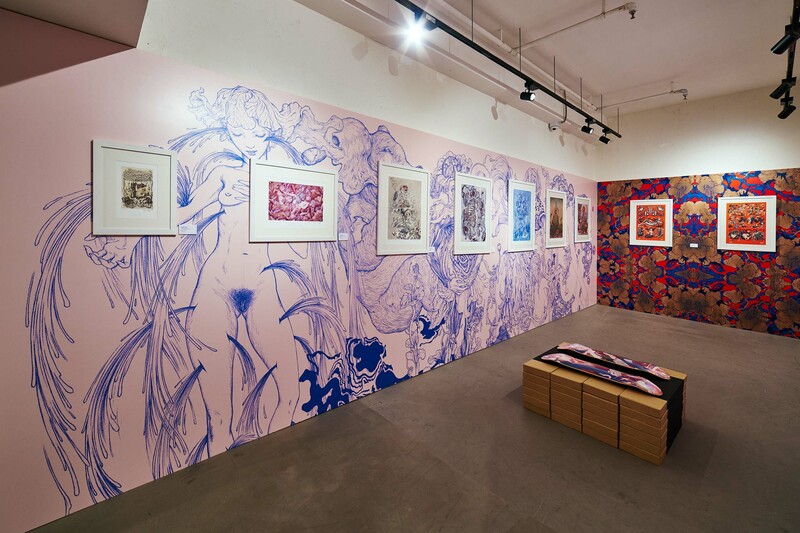 This will be the highly sought-after contemporary visual artist’s first ever exhibition in Hong Kong. 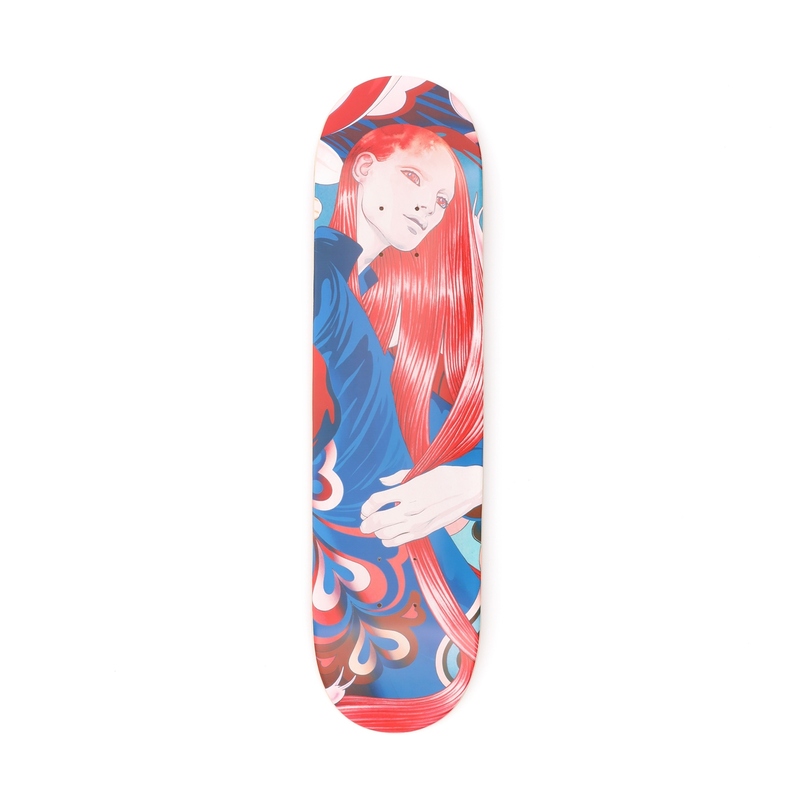 A selection of the artist’s most emblematic work will be on display, including two pieces commissioned by JOYCE for the FW’17 seasonal campaign and subsequently featured on limited edition skateboards (HKD1,800). The two pieces of urban-inspired artwork have been created to celebrate individuality, in particular street fashion that overlooks the boundaries set by conventional male and female dress codes. 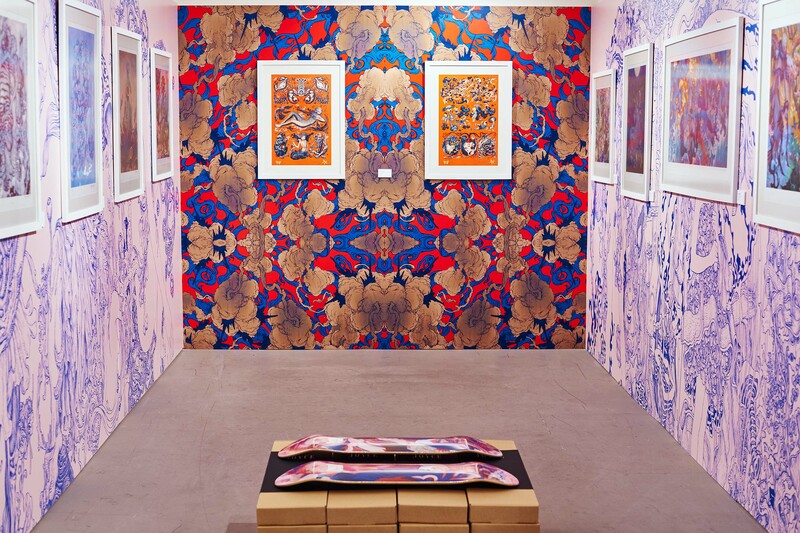 James Jean’s foray into the world of fashion has produced numerous high-profile collaborations, most notably with Prada. Combining these experiences in the industry with his dreamlike grasp of colour and interpretation of the human form, the Taiwanese American artist has created two expressions of fashion outside the confines of gender: the first entitled ‘Pistil and Stamen’, the other ‘Facets’. 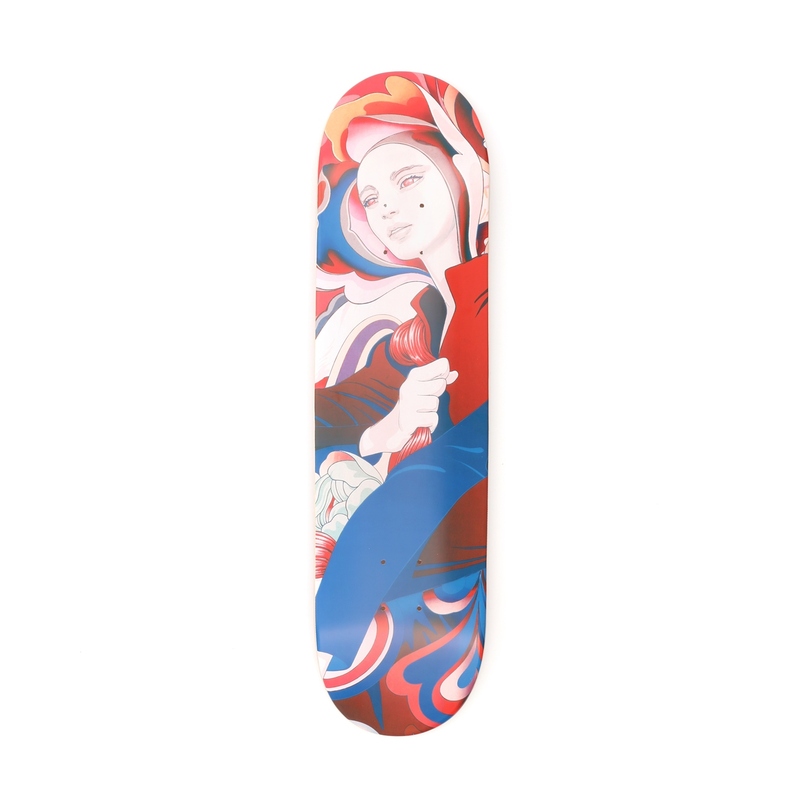 These commissioned works will be featured on unique custom-made skateboard decks, the perfect alternative canvas for the fluid street culture-inspired imagery. 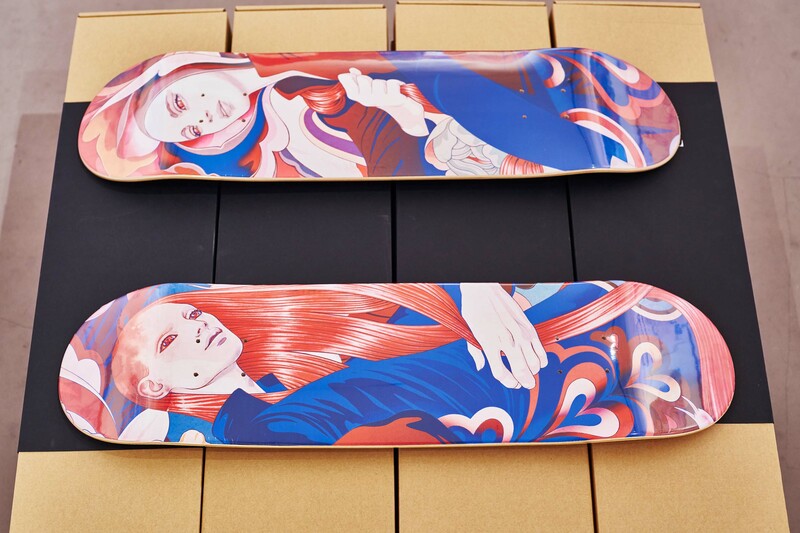 A further fourteen examples of the artist’s mesmerizing modern-day depictions of nymph-like figures and fantastical dreamscapes will be on display for purchase at JOYCE Cabinet, New World Tower Central from 26 September 2017, at which time the limited edition collectable skateboards will also be available in store.